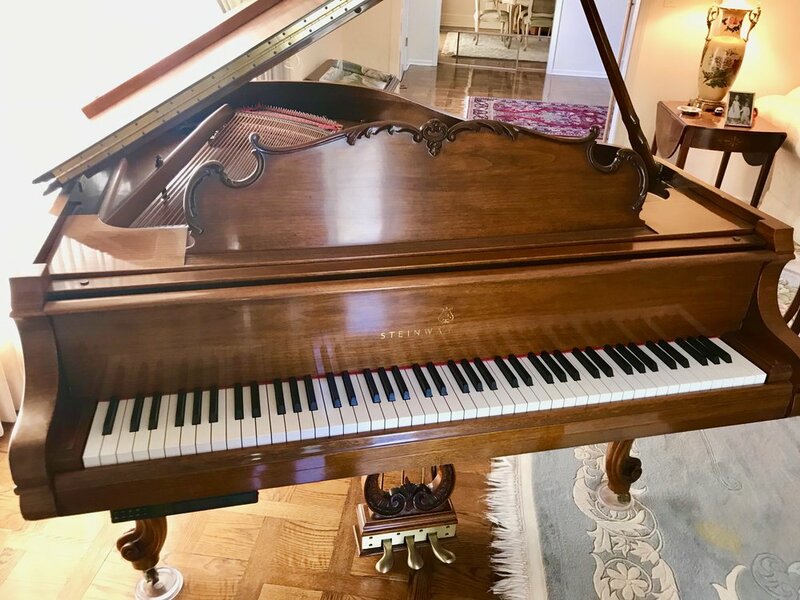 Steinway Louis XV grand piano, model M, 5'7" from The Crown Jewel Collection. 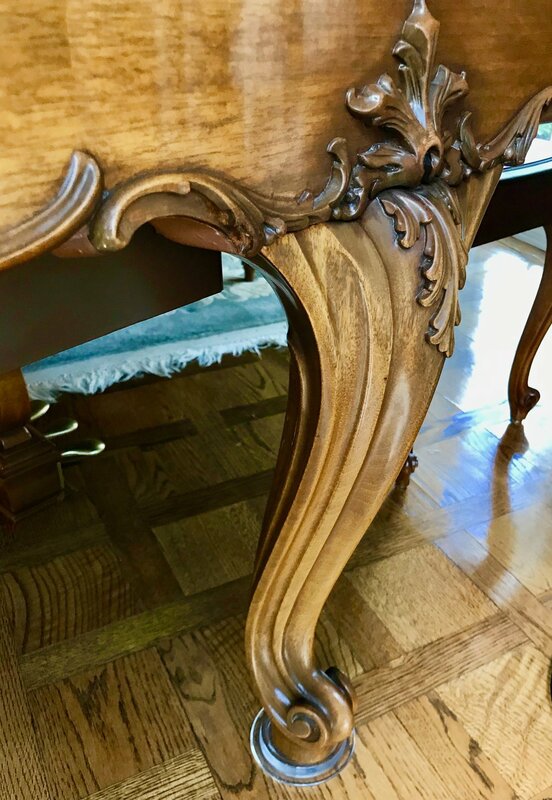 Recently tuned to perfection and in immaculate condition, with satin walnut finish, bent, carved legs and scrolling, and a matching bench. Original owner and built in 1998. 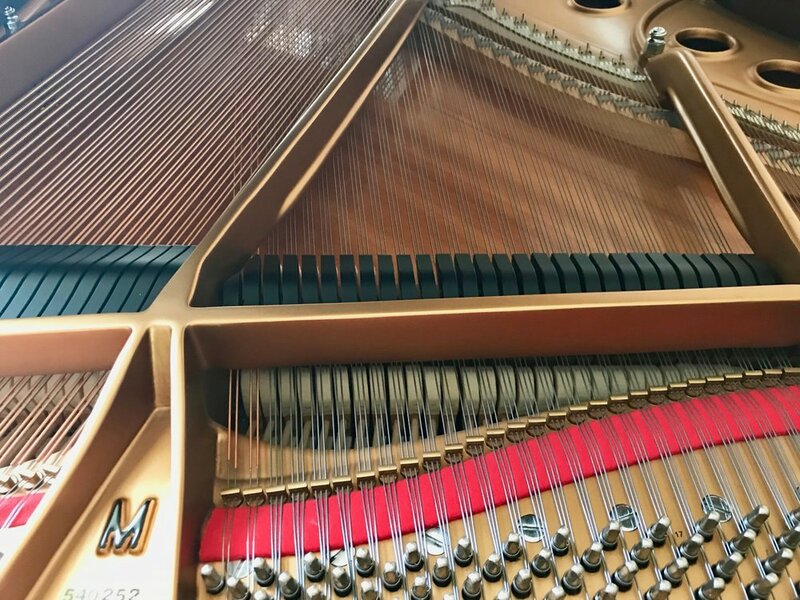 The piano has a beautiful classic and rich classic Steinway tone, and impeccable touch. Fully functioning PianoDisc player system with speakers installed with extensive disc collection. let us know, and we would be happy to show it to you by appointment, or feel free to contact us for more information.